Q. What is The Great Aspinneration? A. 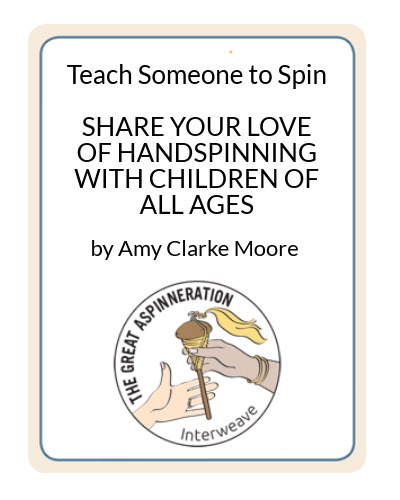 The Great Aspinneration is a program to share the love of spinning and teach other people to spin. Q. I’m not a very good spinner or teacher; am I out? 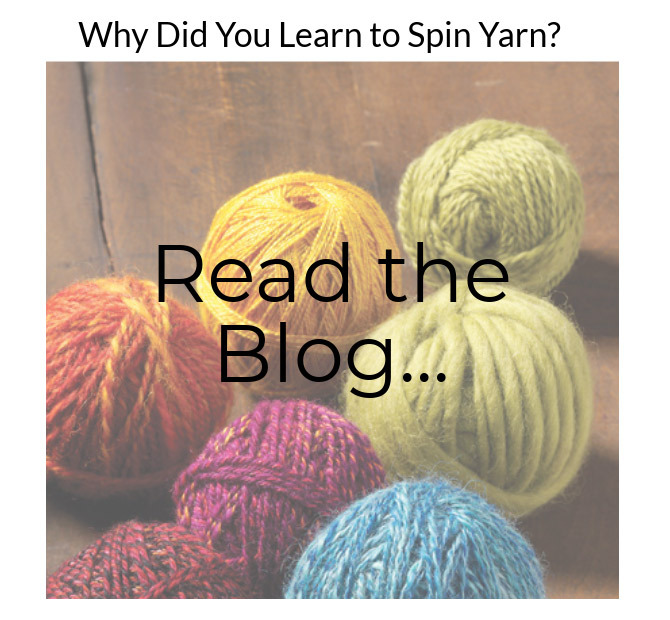 A. There’s no need to be an expert, just someone who enjoys spinning. 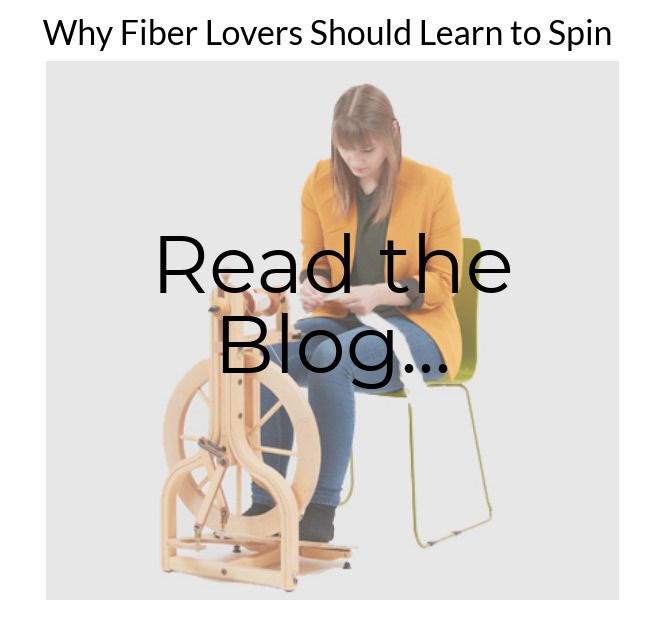 All you need is about 20 minutes, the ability to spin a continuous thread, some fiber and a spindle to lend, and a tiny bit of patience. 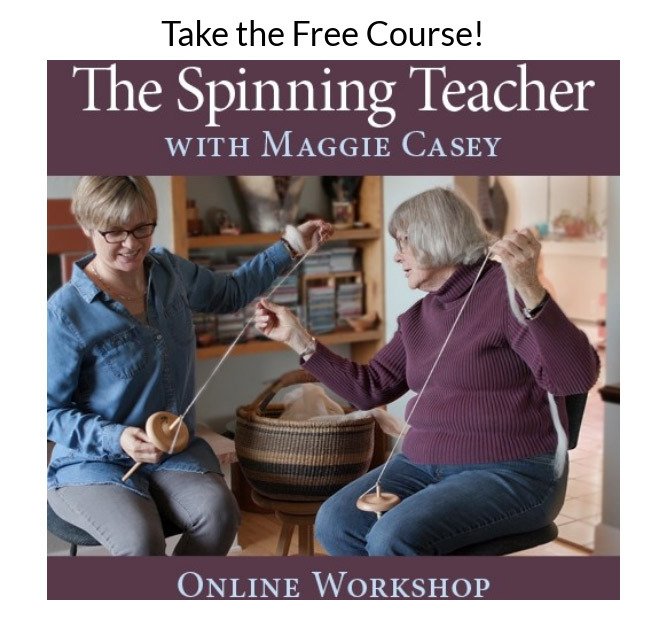 Maggie Casey demonstrates how she teaches new spinners in “The Spinning Teacher” online course. You just need to help someone turn fluff into yarn! Q. Shouldn’t someone take a real spinning class? A. Most of us learn spinning from different teachers along the way; just get someone started on the journey. 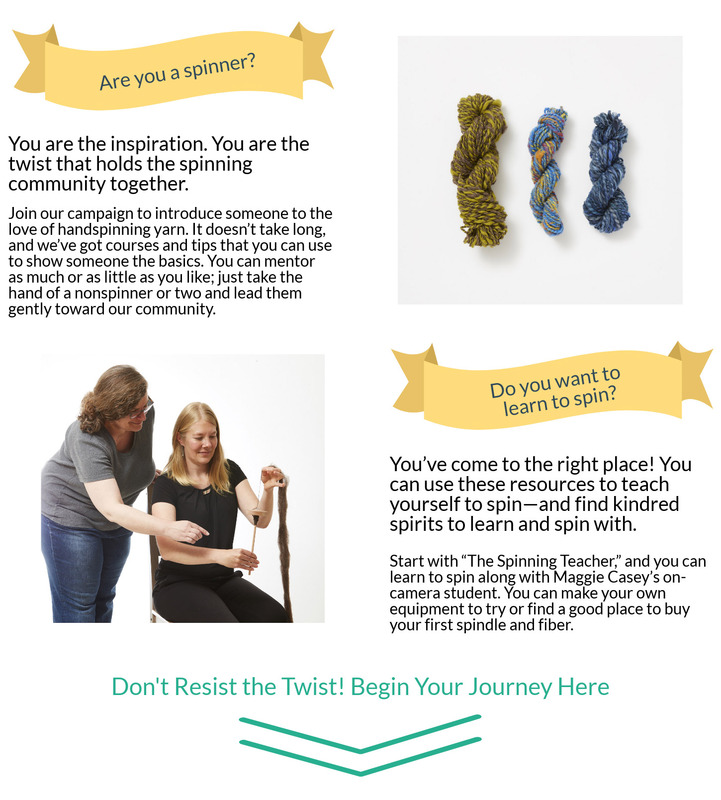 Helping someone take the first step on the spinning path may lead them to a class, a spinning guild, a wool festival, or an online course. Q. What do I need to have? A. 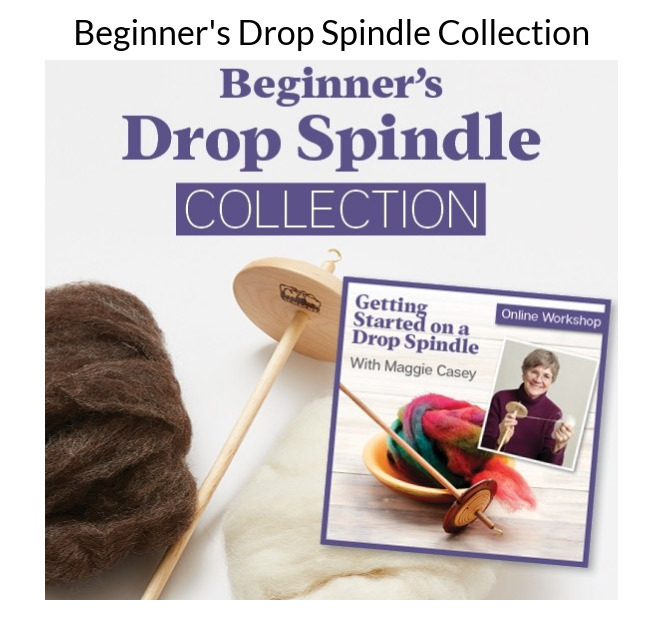 We recommend a midweight drop spindle and an ounce or two of carded medium wool such as Corriedale or Romney. 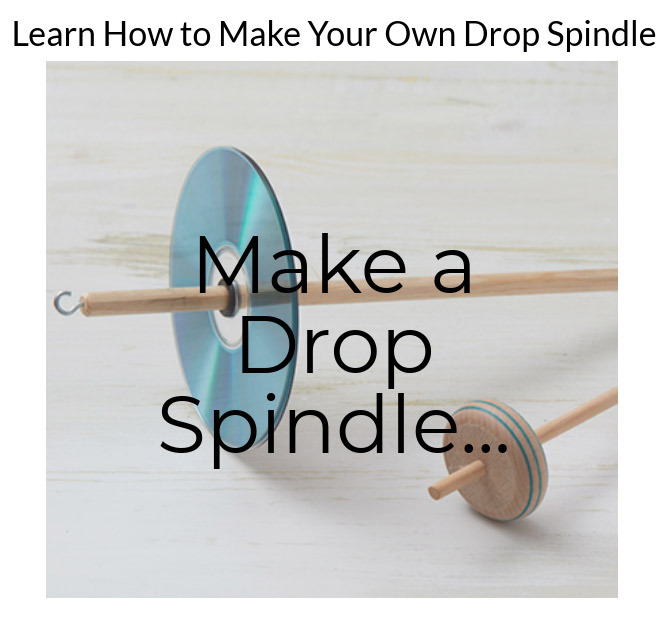 If you can lend the spindle to the student, that’s perfect (or you can make a drop spindle with a CD or a toy wheel. You may want to look at the free resources here for here for teaching instruction. 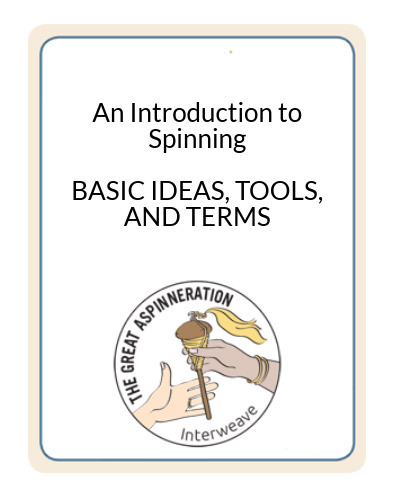 Q. I want to learn; where can I find other spinners? A. Welcome! 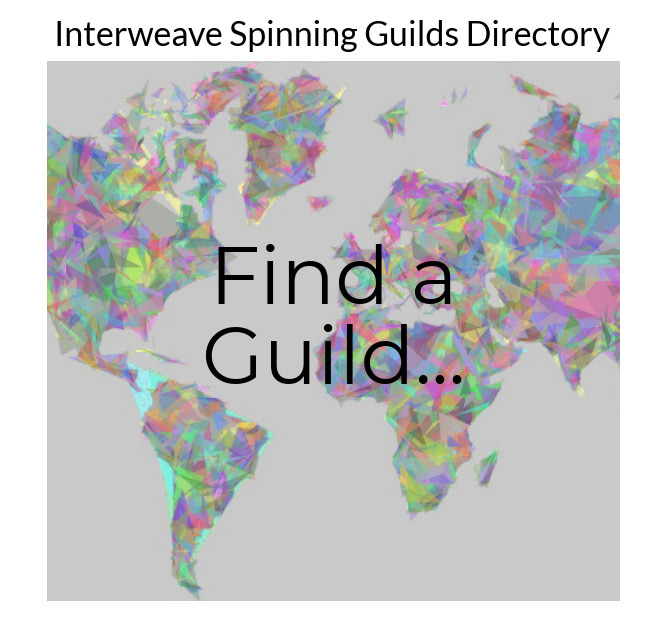 You might wonder about joining a spinning guild, but they are one great place to find other spinners; look for one near you in our list of spinning guilds around the world. Q. I have a shop and I’d like to be part of this. What should I do? A. We’d love to have you! 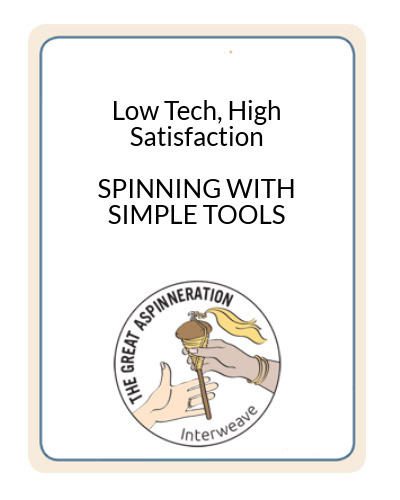 Send us an email at spinoff@interweave.com and we’ll discuss ways you can be involved. Q. What do I do after I purchase the free course? How do I access it? 5) On the left side of the screen click on “My Courses” or “My Workshops”. It could say either variation depending on what screen you are on.